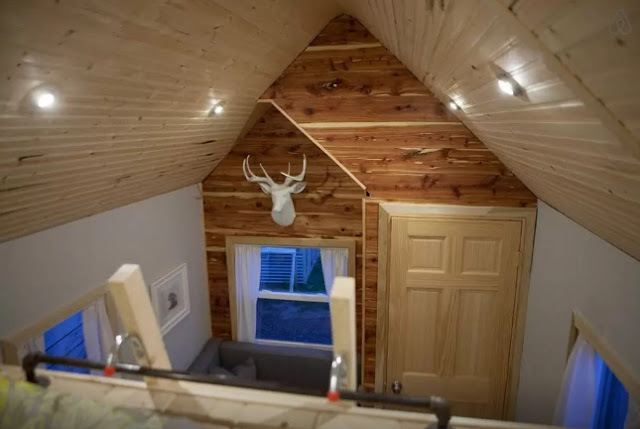 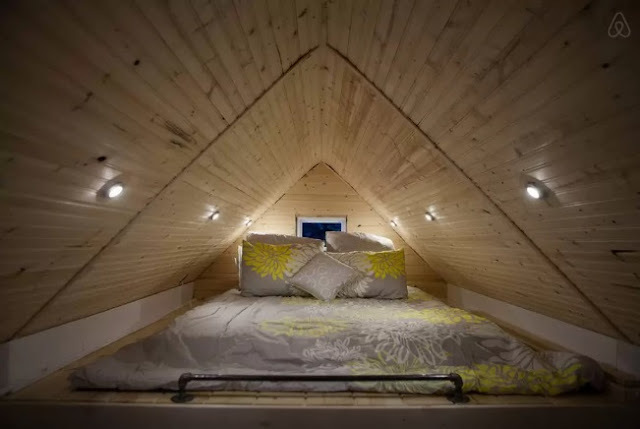 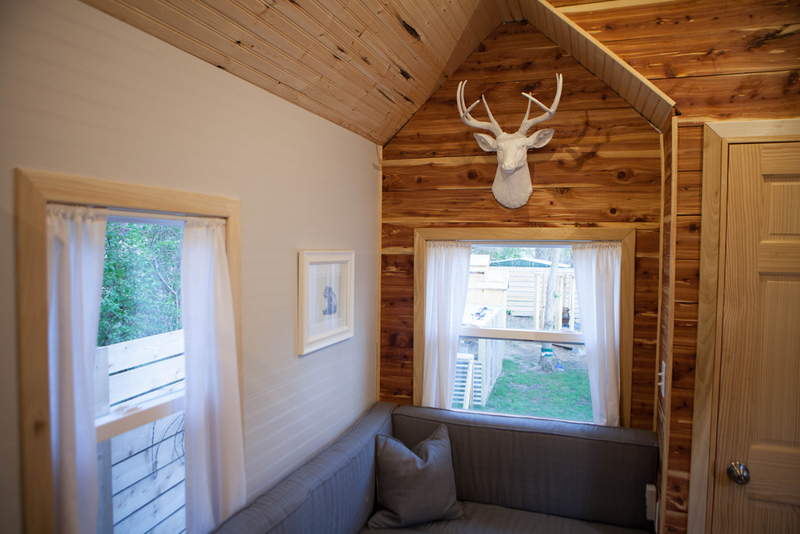 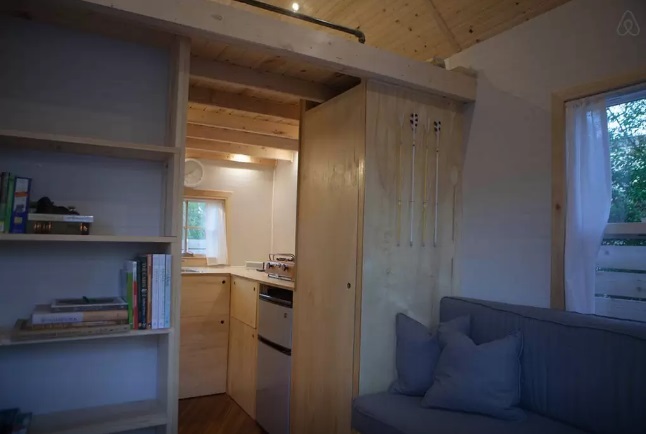 This cozy tiny house on wheels is available for rent via Airbnb! 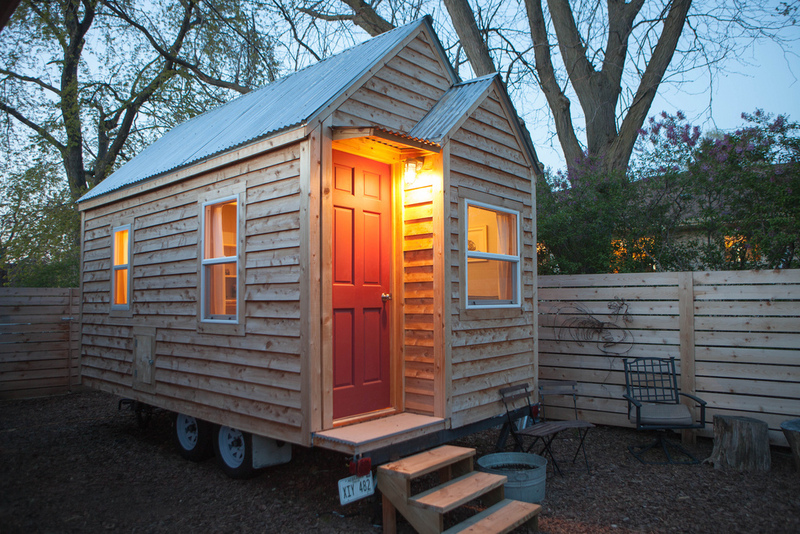 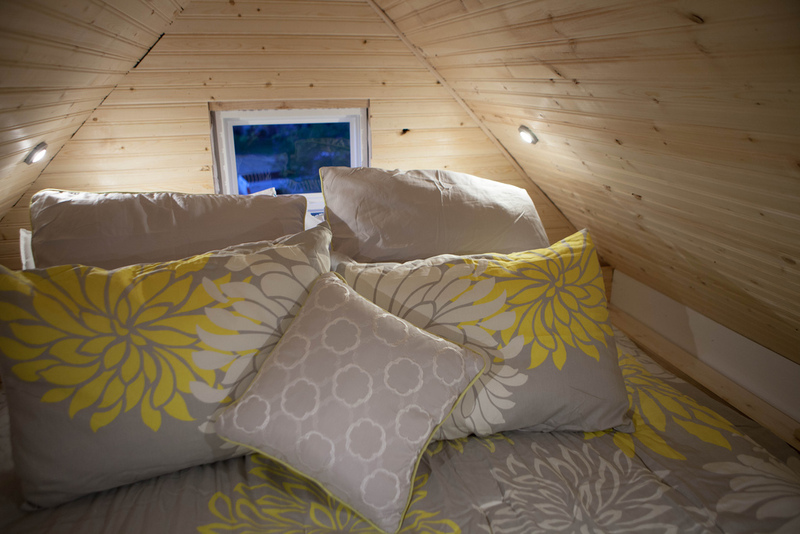 The home is located in Omaha, Nebraska, and can sleep up to three people. It has a living room, kitchen, bathroom, and loft bedroom. 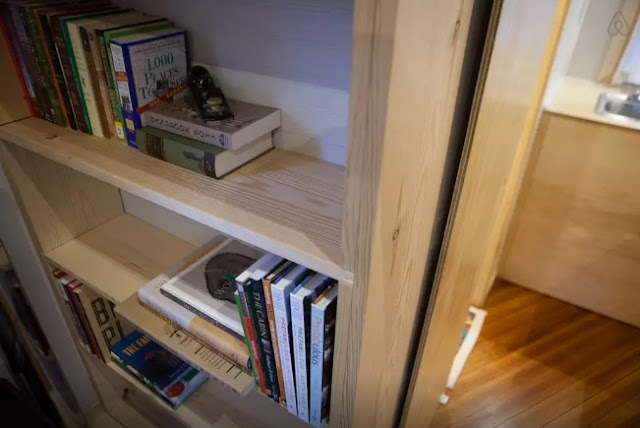 There's even a bookshelf to get some reading done during you stay. 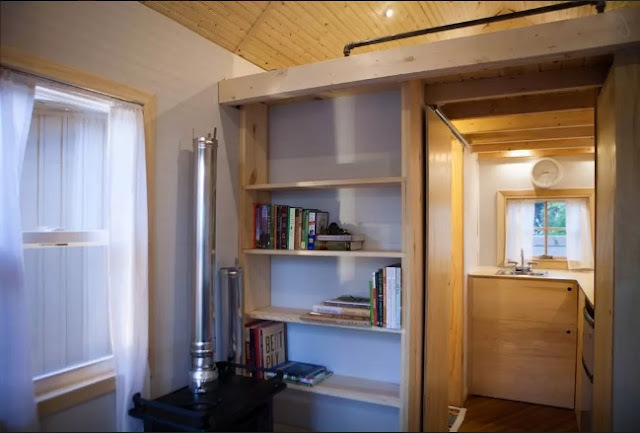 In addition to rentals, the home's owners also offer tiny house consultations and custom builds through their website, Tiny Midwest.